Located between the Sunshine Motorway and Coolum Beach, Mount Coolum is a volcanic dome that measures 208m from coastal plain to peak and features tall cliffs on its southern side. Formed from columns and joining patterns of rhyolite over 25 million years, the mountain is also home to a disused quarry in the eastern foothills. Part of the Mount Coolum National Park, the mountain is also home to a long track known as the Mount Coolum Walk which offer a fantastic insight to the rich flora and fauna. 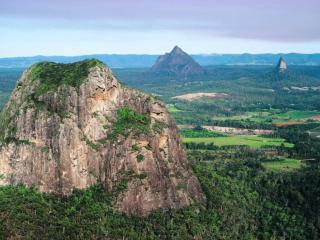 Mount Coolum itself is composed of rhyolite, a potassium- and sodium-rich compound that, using potassium-argon dating has been traced back 26 million years. One of the mountain’s most striking features is the column and crystal joining patterns which are clearly visible on the primary cliffs. Mount Coolum is one of Australia’s most ecologically significant sites home to an unparalleled diversity of plant life with more than 700 types of plants intensely studied and documented. There are approximately 49 types of ferns, 100 species of lichens, mosses and liverworts and 590 flowering plants. Out of the 49 ferns, there are 20 distinct families, approximately 40 per cent of all fern families in the entire world. The most evolutionary primitive plant in the world is a common sight and there are also a couple of recently discovered tree species that aren’t found anywhere else in the world. Mount Coolum Walk is the best way to discover the region’s ecological diversity winding 800m from east and taking approximately 30 minutes to complete. The track’s lower portion is quite gentle and well-formed however it quickly becomes quite rough and steep and extreme caution should be taken in the wet, however it is recommended that the walk should not be undertaken when conditions are wet. Unsurprisingly, the view from the summit of Mount Coolum is spectacular, offering 360 degree vistas of the Sunshine Coast including the coastline and beaches from Moreton Island to Double Island Point. 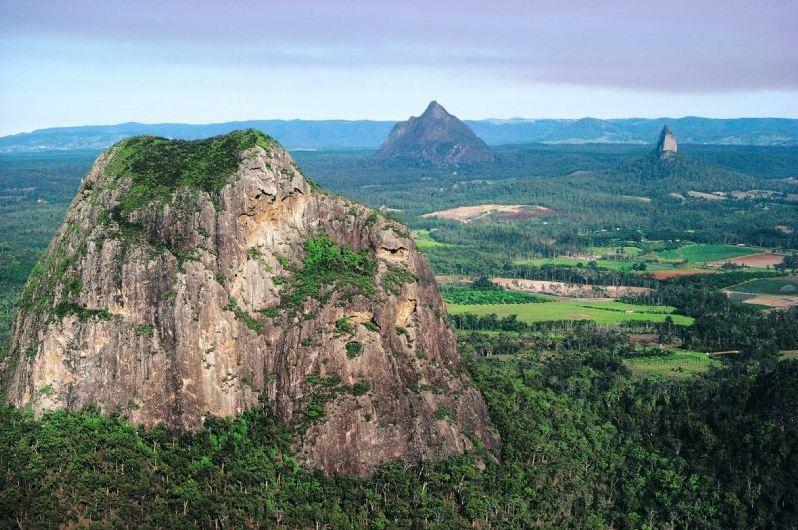 From the peak of the mountain you can also make out the wetlands of the Maroochy River Valley as well as the iconic cane fields and the photo opportunities from the stop simply can’t be beaten.